Is a State free to adopt measures to protect the public health of its citizens? If so, what are the limits, if any, to such regulatory powers? This book addresses these questions by focusing on the clash between the regulatory autonomy of the state and international investment governance. As a wide variety of state regulations allegedly aimed at protecting public health may interfere with foreign investments, a tension exists between the public health policies of the host state and investment treaty provisions. Under most investment treaties, States have waived their sovereign immunity, and have agreed to give arbitrators a comprehensive jurisdiction over what are essentially regulatory disputes. Some scholars and practitioners have expressed concern regarding the magnitude of decision-making power allocated to investment treaty tribunals. 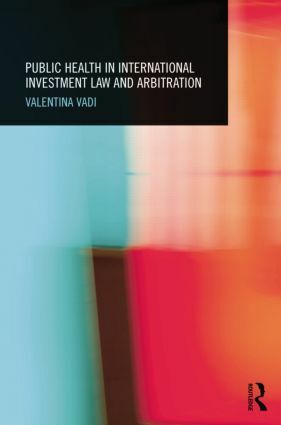 This book contributes to the current understanding of international investment law and arbitration, addressing the fundamental question of whether public health has and/or should have any relevance in contemporary international investment law and policy. With a focus on the ‘clash of cultures’ between international investment law and public health, the author critically analyses the emerging case law of investment treaty arbitration and considers the theoretical interplay between public health and investor rights in international investment law. The book also explores the interplay between investment law and public health in practice, focusing on specific sectors such as pharmaceutical patents, tobacco regulation and environmental health. It then goes on to analyze the available means for promoting consideration of public health in international investment law and suggests new methods and approaches to better reconcile public health and investor rights.